“Scientists found regular cannabis users were 45% less likely to get the disease compared with men who didn’t smoke the drug. Anil Thomas of Los Angeles Medical Centre in California tracked the incidence of bladder cancer among 82,050 men aged 45 to 69. Men who reported using cannabis once or twice had no reduction in the incidence of the cancer while those who had used the drug more than 500 times showed a reduction. Dr Thomas said: “Bladder cancer is the fourth most common malignancy in men. “For the first time, a study has found that cannabis use may be associated with a decreased risk of bladder cancer, researchers reported at the American Urological Association 2013 annual meeting. In a study of nearly 82,000 men, bladder cancer developed in 279 over an 11-year period. 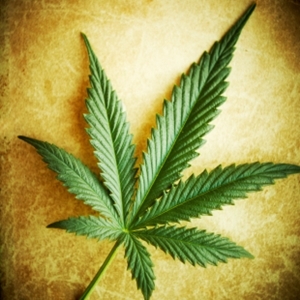 Subjects who smoked marijuana, but not tobacco, had a significant 45% decreased risk of bladder cancer compared with those who did not, after adjusting for age, body mass index, and race and ethnicity, according to lead investigator Anil A. Thomas, MD, a researcher with Southern California Permanent Medical Group in Los Angeles. Men who smoked tobacco, but not marijuana, had a significant 52% increased risk, a finding that is consistent with numerous previous studies. Men who smoked both had a 28% increased risk. “Smoking marijuana might decrease the smoker’s risk for bladder cancer, a new study shows. Retrospectively analyzing a large database of patients, researchers at Kaiser Permanente in California found that patients who reported cannabis use were 45% less likely to be diagnosed with bladder cancer than patients who did not smoke at all. Dr. Thomas presented the study here at the American Urological Association 2013 Annual Scientific Meeting. Dr. Thomas told Medscape Medical News that he first got interested in exploring this topic while doing some laboratory work in which he exposed prostate cancer cells and bladder cancer cells to cannabis. “The prostate cancer cells did not show an effect and the bladder cancer cells were devastated,” he said. “New research says smoking pot may be less likely to cause bladder cancer than smoking cigarettes. “People who smoke marijuana may be less likely to get bladder cancer than those who smoke cigarettes, a new study says. “The study, presented at the AUA 2013 Annual Meeting, found that men who reported using cannabis had a 45% lower risk for developing bladder cancer compared with men who did not smoke, even after adjusting for age, BMI, and race/ethnicity. “New research says smoking pot may be less likely to cause bladder cancer than smoking cigarettes.The finding is potentially valuable, the study authors said, given the ongoing debate over legalizing marijuana for medical purposes. More frequent marijuana use — smoking pot more than 500 times — was associated with greater risk reduction than infrequent marijuana use — smoking once or twice, the researchers found. Thomas said that while the study saw a link between smoking marijuana and lower bladder cancer risk, compared to tobacco smokers, it did not prove a cause-and-effect relationship. He couldn’t explain the link, but speculated on the possible mechanism. “The theory is that there are receptors in the bladder that are affected by cannabis,” he said. The cannabinoids [compounds] in the marijuana may link with the cannabinoid receptors in the bladder and somehow protect against cell changes that can lead to cancer, he said. “The study’s not been peer-reviewed yet, USA Today reported. It involved 83,000 men who smoked marijuana, cigarettes or both, Raw Story reported. The findings, presented at the American Urological Association, found that men who smoked cigarettes increased their risks of bladder cancer, but that men who smoked marijuana only actually decreased their risks, Raw Story reported. Further, the study found that men who smoked both still have a higher chance of bladder cancer, but it was still a lower chance than those who smoked only cigarettes, Raw Story said. “Cannabis use only was associated with a 45 percent reduction in bladder cancer incidence, and tobacco use only was associated with a 52 percent increase in bladder cancer,” the study’s author, Dr. Anil Thomas, said, Raw Story reported. And smoking a lot of marijuana brought the greatest positive results.